When a friend helps us to purchase a handbell, they have the option of requesting an inscription for its handle. Your gift will enable us to continue our work in southern Arizona: Transportation costs average $50 per performance. 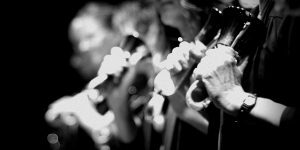 A $500 donation would provide sheet music for one concert or cover insurance for our handbells. Your gift of $3,000 would cover production costs for one CD. 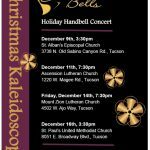 Thank you for your consideration of the Sonoran Bells as a beneficiary of your financial support. Donations can be made through PayPal by clicking below. Or you can contact us for the address to mail your donations. *Sonoran Bells is a 501(c)(3) organization. Our tax ID number is 86-1008350.